Pavel Alexandrovich Florensky was born on January 21 (N.S. ), 1882, in the town of Yevlakh in what is now western Azerbaijan. His father, a railroad engineer, was from a family of Russian Orthodox priests and his mother was from Armenian nobility. His education included attendance at the gymnasium in Tiflis, Georgia where he displayed unusual aptitude in science and mathematics. 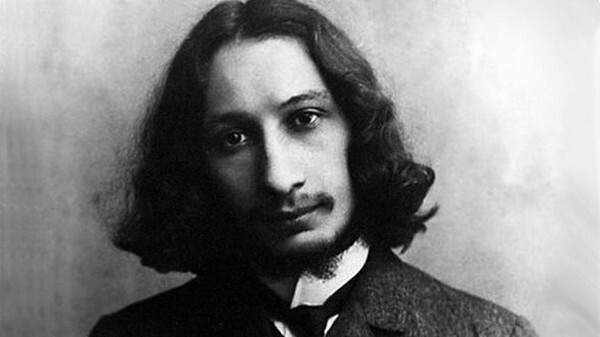 After graduating from the gymnasium, Pavel entered the Department of Mathematics of Moscow State University graduating in 1904 with degrees in mathematics and physics. In the meantime he developed a profound religious outlook and a desire to seek a career in the Orthodox Christian priesthood instead of science. Refusing a position teaching at the university, Pavel entered the Ecclesiastical Academy at the Troitse-Sergiyeva Lavra in Sergiyev Posad, north of Moscow. There, he developed for a while an interest in a radical Christian movement and created with three fellow students the society ofUnion of Christian Struggle. The group was based on ideas of Vladimir Solovyov that aimed revolutionarily to rebuild Russian society. In 1906, he was arrested for membership in the society, and shortly later he lost interest in the radical movement although Fr. Pavel continued exploring the ideas of Solovyov's sophiology, Sophia (Wisdom), and through this association met and became close friends with Sergius Bulgakov, another disciple of Solovyov. Fr. Pavel's interests at the Moscow Academy included philosophy, religion, art, and folklore. With these interests he became prominent in the Russian Symbolism movement. Intent on becoming a cloistered monk, he was persuaded by the faculty to become a teacher and scholar instead. He also published in the magazines New Way and Libra. In 1908, having graduated from the Academy he began teaching there. During these years at the Academy he began to ponder the basis of his belief beyond the formalisms of the Church. It was through his soul-searching and inner struggle that he started his main work, The Pillar and Ground of the Truth: An Essay in Orthodox Theodicy in Twelve Letters. While much of The Pillar was completed by the time he graduated in 1908 the complete book was not published until 1914 and was not fully translated from the Russian for many years. Until 1919, he continued to live at the Troitse-Sergiyeva Lavra after his graduation while he taught at the Academy. In 1911, he married and was ordained a priest. In 1914, he wrote a dissertation About Spiritual Truth. Fr. Pavel was the chief editor of the authoritative Orthodox publication of the time, Bogoslovskiy Vestnik. His writings included works not only on religion and theology, but on philosophy, art theory, mathematics, and electrodynamics. After the Bolsheviks closed the Troitse-Sergiyeva Lavra in 1918 and in 1921 the church where he served as priest, Sergievo-Posad, he began working in Moscow for the State Plan for Electrification of Russia. Here Leon Trotsky believed Fr. Pavel had the ability to help the government in electrification of Russia. In this position, contemporaries noted the strange sight of Fr. Pavel in his priest's cassockand pectoral cross working along side Soviet scientists and leaders including addressing Soviet scientific conferences and lecturing at the university. The Bolsheviks continued pressing him to renounce his priesthood, but he was considered too valuable to the Bolshevik regime and left alone. In 1924, he published a monograph on Dielectrics as well as works on ancient Russian art. He also wrote the standard Soviet textbook on electrical engineering that was used for thirty years. Later in the decade he published his "hard Science" work Imaginary Numbers in Geometry that was devoted to the geometrical interpretation of Albert Einstein's Theory of Relativity. In this work Fr, Pavel proclaimed that geometry of imaginary numbers predicted by the theory of relativity for a body moving faster than light is the geometry of the kingdom of God. With the ascendency of Stalin in 1927 and after Fr. Pavel objected to Metr. Sergius' declared policy of Orthodox Church cooperation with the Soviet regime, he began to feel the sting of Bolshevik justice for his defiant actions. He was first arrested in 1927 and exiled to Nizhny Novgorod in 1928. He returned to Moscow after Maxim Gorky's wife, Ekaterina Peshkova, interceded for him. He was arrested again in 1933 and sentenced to ten years in the labor camps for publishing the monograph about the theory of relativity. In it, his comment on the kingdom of God was considered agitation material. His sentence began at the Baikal Amur Mainline camp, building the new shortcut railroad line of the Trans-Siberian Railroad, and after a year he was transferred to the former monastery at Solovetski on the White Sea where he conducted research on products made from seaweed. In 1937, he was moved to Leningrad for trial by an extrajudicial NKVD troika. The troika sentenced him to death, according to legend, for refusing to disclose the location of the head of St. Sergius Radonezhsky which the Bolsheviks wanted destroyed. Fr. Paul had been rumored to be a organizer in earlier years of a plot to save the relics of St. Sergius. In 1946, Troitse-Sergiyeva Lavra was reopened and Pavel Golubtsov, later Abp. Sergius, returned St. Sergius' relics to the Lavra. The date of Fr. Pavel's death was disputed. Officially, Soviet information stated he died in Siberia on December 8, 1943. But, after the collapse of the Soviet Union a search of the NKVD archives showed this date to be false, and that he was shot immediately after the NKVD troika trial in December 1937. He was probably martyred at the Rzhevsky Artillery Range, near Toksovo, northeast of Leningrad and buried in a mass grave with some 30,000 others who were executed by the NKVD. In the words of Solzhenitsyn he noted Fr. Pavel Florensky as perhaps the most remarkable person devoured by the Gulag.